Nations Press feature The Reason You Wake Up In The Middle Of The Night Is NOT INSOMNIA!-Here's How To Deal With It!! The Reason You Wake Up In The Middle Of The Night Is NOT INSOMNIA!-Here's How To Deal With It!! SPONSORED LINKS A good night’s sleep is essential for our overall health, since it brings mind and body regeneration. Nevertheless, health issues like sleep apnea and insomnia, as well as other sleep disorders often interrupt it and make it difficult to drift into a sound sleep. However, newest research found that sleep may not be an all-night thing at all. Namely, a Virginia Tech historian, called Roger Ekirch introduced the theory of ‘segmented sleep’ after 16 years of researching it. He found significant evidence which showed that earlier generations had a first sleep just after dusk, followed by an hour or two of being awake, time often spent in a relaxed state of prayer or meditation. Then they went back to bed for a second sleep that lasted until the next morning. The period between the two sleeps, often coinciding with midnight, when the brain produces prolactin- the hormone that stimulates the feeling of relaxation, was discovered to be the most relaxing. Sleep maintenance insomnia,’ the condition that makes people wake up in the middle of the night not being able to go back to sleep, is mostly caused by our ancestral sleeping patterns, dating as far back as 15th century, according to Ekirch. A professor of circadian neuroscience at Oxford, Russell Foster, also believes that the reason a number of people wake up at night is just an ancestral throwback to the bi-modal sleep pattern. Our natural biorhythms are governed by exposure to light and darkness, which also dates back to our ancestors who scheduled their day around the rise and setting of the sun. 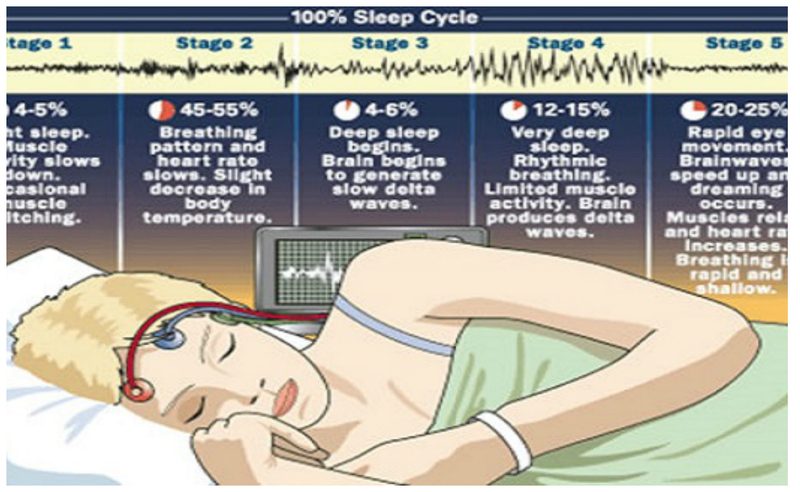 That segmented sleep is part of the normal human psychology is also maintained by other scholars as well, including psychologist Greg Jacobs. It is the idea of uninterrupted sleep that’s been embedded into our brains which causes anxiety in people, that inhibits going back to sleep. Nevertheless, this aspect has been overlooked by traditional medicine and there are only few centers where sleep is studied. Numerous doctors, despite the fact that one in three health issues are directly or indirectly caused by sleep, cannot accept that the uninterrupted 8-hour sleep may be unnatural to humans.